Research being carried out by Harper Adams University investigates the link between behaviour and pressure from illness or disease. It is commonly understood that a cow’s behaviour can change when under pressure from illness or disease. And research being carried out at Harper Adams University, Shropshire, using activity monitors on dairy cattle, aims to provide some evidence to support this. Activity monitors are commonly used on-farm as a method of heat detection. However, during this study, they were used to gather data such as time spent lying, number of lying bouts and their length, and number of steps taken by the cow per day. The study ran using all-year-round calving, Holstein Friesian cows, yielding on average 9,800kg per lactation. Cows were housed in cubicle sheds for most of their lactation. From the data gathered, they found the cows in the herd lay for about 10.3 hours per day and on average took about 1,600 steps per day. The study was conducted on cows experiencing normal oestrus cycles and there were 30 early lactation animals, which were monitored throughout their first two oestrus cycles. Cows were observed for 20 minutes, three times-a-day, with the accelerometers and video cameras monitoring activity 24/7. Milk progesterone levels were measured three times-a-week. When cows were expected to enter oestrus, their progesterone levels dropped and there was a reduction in lying time associated with behavioural oestrus. Lying time dropped from about 10 hours per day to about seven hours per day in the animals which showed behavioural oestrus. The activity monitors also had the ability to record locomotion and lameness, and there was an alert for changes in activity associated with lameness. All cows in the herd were regularly scored for locomotion levels, using a scale of one to five. One is normal gait and five is severely lame. In the group of cows used on the study, cows scored one, two or three for locomotion. Through oestrus, cows with locomotion score one showed a big spike in number of steps per day. Score two and three cows showed enough of an increase in steps to trigger an oestrus alert, when each cow reached a predefined threshold of steps, but it was still much lower than cows that scored one for locomotion. Locomotion score two cows took a similar number of steps to a score three cow during oestrus, despite being more similar in activity to a locomotion score one cow outside of the oestrus period. “There is something about those cows which affects their activity when we want them to show the additional activity associated with oestrus expression,” said Dr Bleach. On the day of oestrus, locomotion score one cows had a step count above the heat threshold for about 12 hours, whereas locomotion score three cows only showed increased activity for about six hours. Therefore, there was a shorter duration of oestrus activity, which might make spotting them on heat harder than a sound cow. Despite this, the number of steps taken during the peak hour of activity was still relatively similar to that of a locomotion score one cow, while score three cows were still generally less active. The activity monitors were also used to monitor the behaviour of cows diagnosed with Johne’s disease. 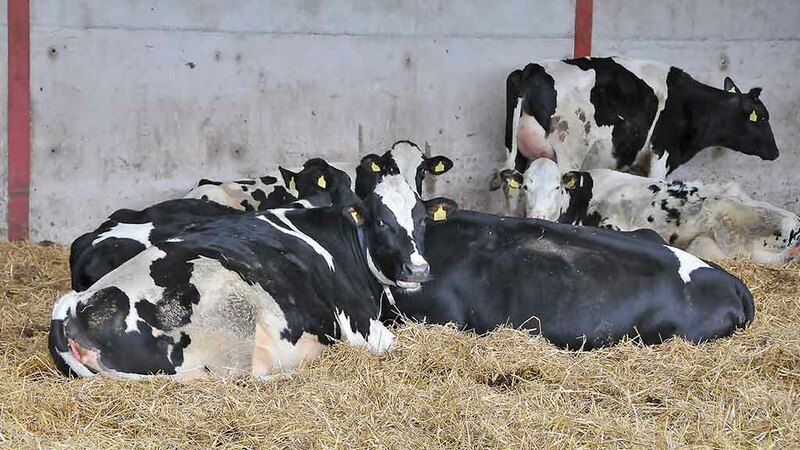 Quarterly milk samples were taken to monitor and diagnose the disease in the herd, cows referred to as ‘JD5’ cows had two or more high ELISA readings for Johne’s disease. By analysing the data from preliminary research, they found lying time per day was decreased for JD5 cows by about one hour per day over the period from calving to 20 weeks post-calving. All cows in the trial typically showed a drop in lying time as they approached peak lactation and were faced with negative energy balance. The lying times of cows which were clear of Johne’s disease were found to return to normal more quickly than JD5 cows. The study also showed that body condition score, mobility, step count and milk yield all remained the same for JD5 cows compared with their contemporaries. The only difference was lying time. 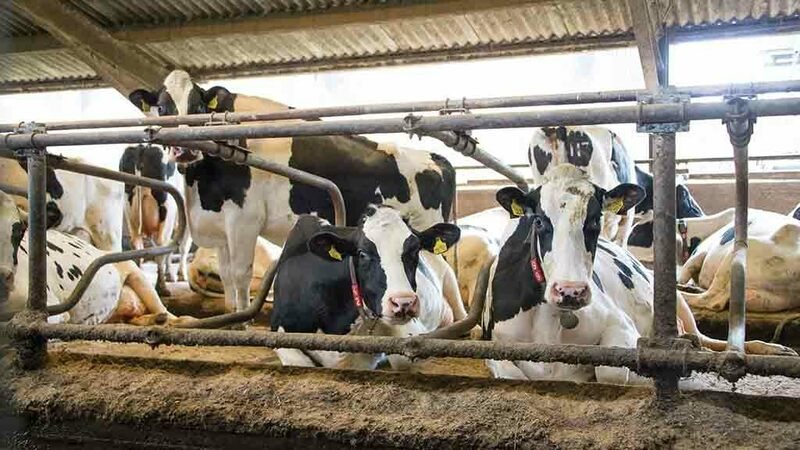 It is thought that these cows spent more time eating, which has been supported by further studies, in a bid to try and compensate for the fact that they were less able to digest nutrients due to damage to their digestive tract. Dr Bleach said these were preliminary results and work in this area would continue.